Arizona hosts many types of hummingbirds. While some live in the state year-round, hummingbird migration accounts for the numerous types of hummingbirds flashing among the flowers of the Grand Canyon State. At least 13 species have been witnessed in southeastern Arizona alone. The source of much hummingbird migration is in Central and South America. 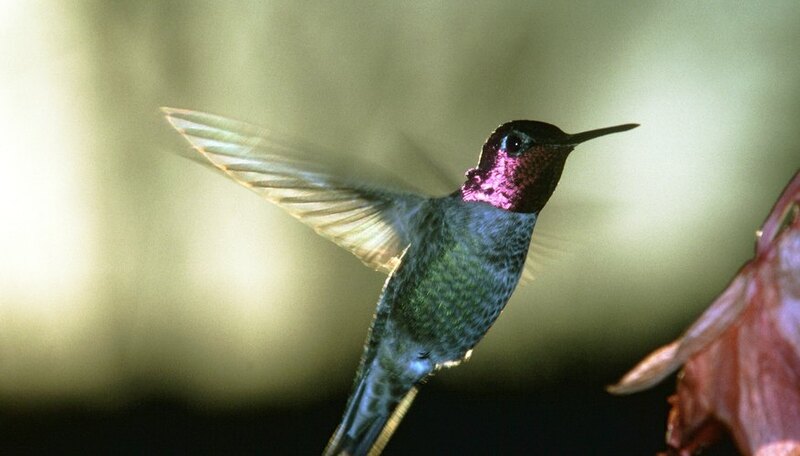 Arizona boasts many types of hummingbirds, both permanent residents and migratory. The state's position between winter and breeding grounds, as well as its unique plants and ecological features, make it the best place to see hummingbirds in North America. Arizona boasts the most diverse types of hummingbirds in the United States. Hummingbirds can be seen throughout the year. Most of the hummingbirds pass through the state due to migration. The most common among them is Anna’s hummingbird. These birds are frequently seen in Phoenix and Tucson, where they now reside year-round. The black-chinned hummingbird features most prominently in southeast Arizona. This species migrates to Phoenix in the summer to breed, and winters in Mexico. White-eared hummingbirds also make their way through the state. Another species is the Lucifer hummingbird, and the Costa’s hummingbird migrates south in winter. Broad-billed hummingbirds and Rufous hummingbirds are often seen as well. Other Arizona hummingbirds include Allen’s hummingbird and the continent’s tiniest bird, the Calliope hummingbird. Hummingbirds concentrate their migration between April or May through early October. The Southwestern Monsoon of the summer months yields a blend of many species on their various routes between breeding and wintering regions. The reason for the comparatively rich hummingbird diversity in Arizona lies in its ecological factors. Arizona contains unique habitats that attract the birds along their migratory routes. Human encouragement via feeders and planting certain flowers ensures a constant stream of food for urban hummingbirds. However, ample wild food and nesting materials abound in Arizona’s environments. Southeast Arizona, in particular, has the highest concentration of hummingbird species. The month of August yields the most bird sightings because it's typically the height of the migration season. This unique region is influenced by an intersection of geography and ecosystems connecting the Rocky Mountains, Mexico’s Sierra Madre, and the Mojave, Chihuahua and Sonoran deserts. This area provides a stopping point between breeding grounds in the Pacific Northwest and the wintering locales of Central America and Mexico. The best way to provide additional sustenance for Arizona hummingbirds is to plant a garden that attracts them. Hummingbirds generally adore flowers with a tube-like structure or trumpet shapes in hues of red, orange and darker pink or fuchsia. A hummingbird garden ideally would contain plant species native to Arizona. Good resources to learn about native plants include nature centers and botanic gardens. Ocotillo and chuparosa provide nesting areas for Costa’s hummingbirds. Black-chinned hummingbirds enjoy flowering shrubs, vines and trees. Hummingbirds also enjoy autumn sage. Other good plants for hummingbirds include Mexican honeysuckle, penstemon, blue crown passion vine, red bird of paradise and aloe. Hummingbirds also require fresh water in gardens. In addition to nectar, hummingbirds also eat a variety of insects. Hummingbirds evolved to rely upon nectar-producing plants and therefore need no additional sustenance. However, people love viewing these tiny winged wonders up close. A surefire way to attract wee hummingbirds to one’s home is to provide feeders with artificial nectar made of sugar and water. These feeders usually have a red color to attract hummingbirds. Feeders must be cleaned with every change of artificial nectar, every other day during summer. This prevents harmful mold and bacteria from building up in the feeder. No elaborate mixture is needed for hummingbird nutrition. Do not add red food coloring. A simple 1:5 ratio mix of sugar to water – for example, 1/4 cup sugar to 1 1/4 cups water – suffices perfectly. Arizona’s neighbor state, California, serves as another locale for both hummingbird migration and year-round types of hummingbirds. Anna’s hummingbird is a permanent resident of coastal Southern California and is a common sight along the rest of the West Coast. Other California hummingbirds include the Costa’s hummingbird, tiny Calliope hummingbird, Allen’s hummingbird and the Rufous hummingbird. Somehow, a myth formed that hummingbirds ride on the backs of geese to aid in their migration. This is untrue. While it may seem incredible, hummingbirds need no assistance with migration, and in fact they do not even migrate at the same time as geese. These tiniest birds simply represent one of the great marvels of nature despite their diminutive size. 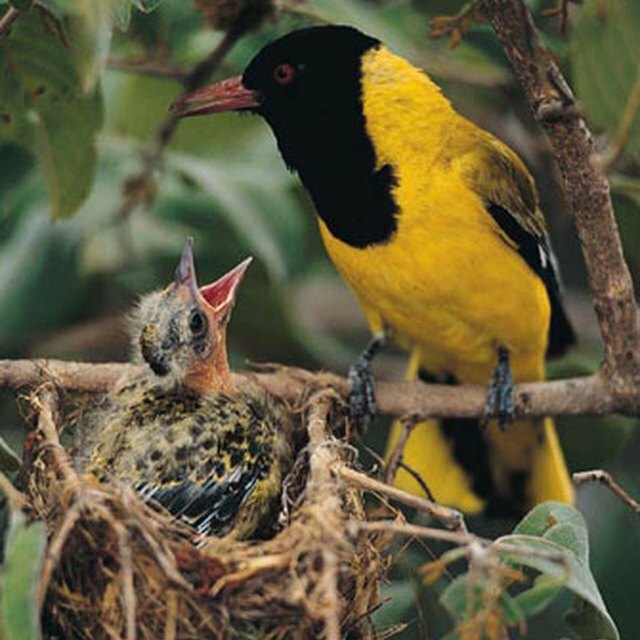 Audubon Arizona: Which Birds Can You Attract to Your Yard? Dianne, J.. "The Hummingbird Migration in Arizona." Sciencing, https://sciencing.com/hummingbird-migration-arizona-10054387.html. 25 July 2018.